Petrov, Mykola I. [Петров, Микола (Николай; Nikolai)], b 6 May 1840 in Voznesenskoe, Makarev county, Kostroma gubernia, Russia, d 20 June 1921 in Kyiv. Literary scholar, historian, ethnographer, archeologist, and pedagogue; full member of the Historical Society of Nestor the Chronicler, the Ukrainian Scientific Society from 1907, the Shevchenko Scientific Society from 1911, and the All-Ukrainian Academy of Sciences from 1918; corresponding member of the Russian Academy of Sciences from 1916. He graduated from the Kyiv Theological Academy (1865) and taught at the Volhynian Theological Seminary in Kremianets (1865–70) and at the Kyiv Theological Academy (1870–1911), where he organized and directed its Church History and Archeological Museum from 1872 (see Kyiv Museum of Church Antiquities) and became a full professor in 1876. He received doctorates in theology (1875) and Russian language and literature (1907). 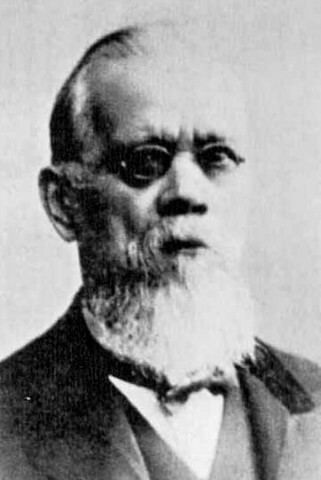 Many of his articles appeared in Trudy Kievskoi dukhovnoi akademii and Kievskaia starina. Petrov was one of the first scholars in the Russian Empire to write about Ukrainian literature. His studies, which he wrote using the comparative-historical method, are valuable for the facts they provide. Some of his earliest works were six articles on literature studies and literary activity at the Kyivan Mohyla Academy (1866–8). In his studies of 17th- and 18th-century Ukrainian literature (1880, 1911) he described and analyzed Ukrainian school drama. 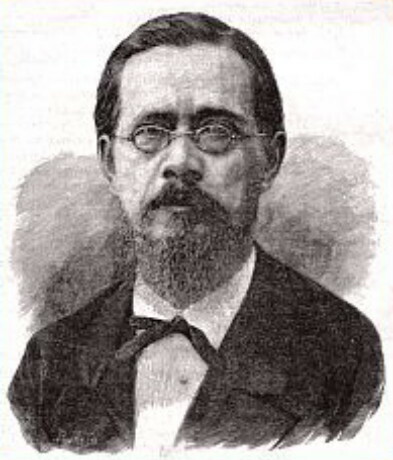 In his pioneering book on the history of 19th-century Ukrainian literature (1884) he examined Ukrainian literature as a ‘self-sufficient branch,’ but emphasized the influence of Russian literature; his eclectic approach, which did not take into account Western Ukrainian literature, was critiqued by Mykola Dashkevych. He also wrote articles on Hryhorii Skovoroda, Heorhii Konysky, Mytrofan Dovhalevsky, Opanas Lobysevych, Ivan Kotliarevsky, Vasyl Hohol-Yanovsky, and Nikolai Gogol, and Ukrainian polemical literature. As a church historian Petrov wrote books on the Kyivan Mohyla Academy in the second half of the 17th century (1895) and its importance in the development of religious schools in Russia in the 18th century (1904), and nine articles on the history of the Basilian monastic order in Poland (1870–2). He wrote authoritative descriptions of the manuscript collections at the Kyiv Theological Academy's museum (1875, 1877, 1879) and elsewhere in Kyiv (1891, 1897, 1904) and compiled the collection Akty i dokumenty, otnosiashchiesia k istorii Kievskoi akademii (Acts and Documents Pertaining to the History of the Kyivan Academy, 5 vols, 1904–7). His works in archeology, museum studies, and art include a book of essays on the history and topography of ancient Kyiv (1897), a study of building construction in Chernihiv in the 11th and 12th centuries (1919), and an album of Kyiv's temples and monuments (1896). His contributions to ethnography include articles on Ukrainian folkloric elements in Nikolai Gogol's early works, Ukrainian historical songs and legends, the influence of the Russian bylyny on Ukrainian folk oral literature, Ukrainian folk celebrations, old Ukrainian theater and the vertep, and intermedes. His historical monographs on the Kholm region (1887), Volhynia (1888), Belarus and Lithuania (1890), Podilia (1891), and Bessarabia (1892) form a distinct group of works within his scholarship.